The first thing I did was drill a dowel hole in each end of the broken leg. For those of you who may not know what a dowel is, it is a round wooden rod. We then inserted the dowel, packed it with epoxy and joined the leg back together. As always the case where the two pieces comes back together there are imperfections in the finish. Visible lines and cracks at the joint. The next process is to repair the area of finish that’s been damaged. This involved sanding, filling, and coloring the area. Then spraying some lacquer over the entire affected area. While chair leg repair isn’t as good or strong as a new chair, it is functional and was really the only option because locating a matching chair wasn’t doable. 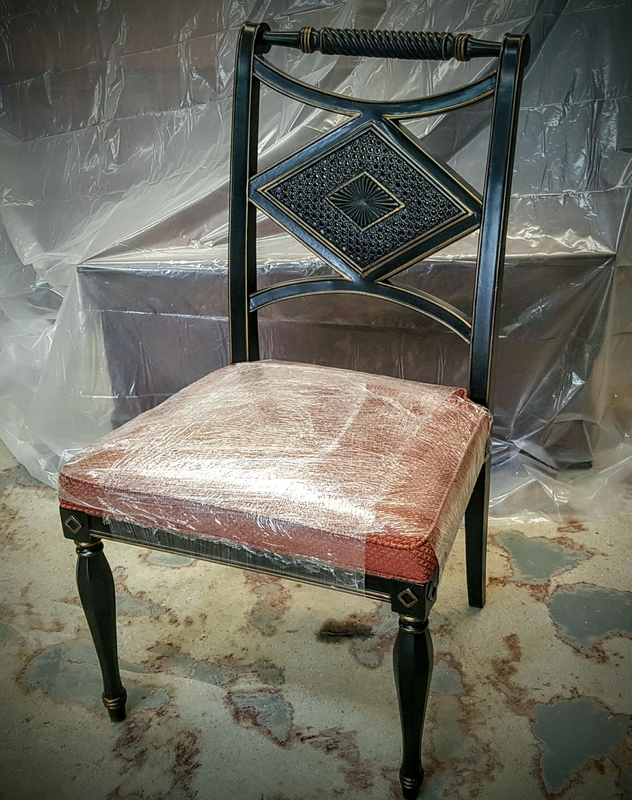 Chairs legs are not something you want to look at and get that distressed look that other furniture might benefit from. Chair leg repair will hold up to normal use since the joint was reinforced with a dowel and the repaired finish passes as original from a couple feet away.